If you’re looking for Spanish translation services in Sydney, you’re on the right page! It’s important to choose Spanish translation services that can employ the language styles and customs of the target audience. Unlike other Spanish translation services, we utilise human translations as there are nuances in the Spanish language that only a human translator can efficiently translate. Sydney Translations has professional Spanish linguists who have an in-depth language and possess enough understanding of the target market’s tone, culture and style. Start your translation today and get a free quote. Simply complete the online form on this page, and we will email you a firm estimate in as fast as 15 minutes. We are always available to assist with your Spanish translation services. Our network of Spanish NAATI translators is here to help. Whether you require a Spanish to English and English to Spanish translation services, Sydney translation offers seven years and millions of words of Spanish translation services experience. From small businesses to global companies, we translate any Spanish content while ensuring excellent results with our Spanish translation services. Upload your document via the translation form, and we will email you a firm quote. 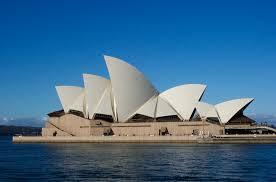 Why Get Your Documents Translated into Sydney Translations? Here, at Sydney Translations, we strive to complete translations accurately and on time while conveying the meaning of the original document when it comes to Spanish translation services ranging from technical, medical, finance, engineering and legal documents. All the while, we concentrate on the contents and message instead of the form and produce translations at a fast turnaround that is at a competitive price. Sydney Translations has selected the most qualified Spanish NAATI translators to handle your project and experienced project managers to manage the translation process. Our quality and checking procedures in the Spanish translation services ensure professional translation results. Thus, you’re guaranteed that you will not pay twice for a sentence translation. Interested in our Spanish translation services? Receive an instant quote when you fill in your details in the online enquiry form. Expect your exact quote within 15 minutes via email. If you want to pursue the translation, proceed to complete your payment. Paypal, credit cards and bank transfers are accepted. Once we finish your translation, we will email you the final soft copy. If you require a hard copy, we can send you one by post. All over the world, more than 400 million people can speak Spanish and is the second most spoken language. 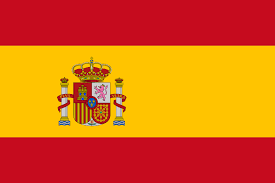 Around 21 countries use the Spanish language as an official language. The Spanish language was derived from the Latin language. It was developed just after the 5th-century fall of the Western Roman Empire in Iberian Peninsula’s central-northern region. The language has two names: Espanol and Castellano. These terms may be different from region to region. Spanish is a phonetic language which means that each Spanish letter represents a specific sound. When it comes to speaking and spelling, it is one of the simple languages that’s easy for novices to learn. The Royal Spanish Academy was tasked with being the custodian of the language.